What Are the Health Benefits of Cane Sugar? Blackstrap molasses is created when sugar cane is boiled down three times. It is lower in sugar than other types of molasses, because each boiling of the sugar cane removes more sugar. Blackstrap molasses is one of the few sweeteners containing vitamins and minerals. While white sugar, brown sugar and honey provide almost no vitamin or mineral content, blackstrap molasses provides more than 10 percent of the recommended dietary allowance, or RDA, of six vitamins and minerals. A 2-tablespoon serving of blackstrap molasses contains 116 calories, all of which come from carbohydrates. One serving contains no fat, no protein and 30 grams of carbohydrates. The majority of the carbohydrates in one serving of molasses are sugar. There are 22.2 grams of sugar per serving, which are a combination of sucrose, glucose and fructose. Molasses contains no fiber. One serving of molasses contains 1.89 milligrams of iron, which provides more than 20 percent of RDA of iron for men and 11 percent for women. Molasses is an excellent source of iron for vegetarians, as it is one of the few non-meat foods rich in this nutrient. Other vegetarian sources of iron include beans and spinach. Because vegetarian sources of iron are difficult for your body to absorb, it is best to eat them with vitamin C, which assists iron absorption. Many fruits, such as oranges and kiwi, are high in vitamin C.
Blackstrap molasses is high in calcium, which is essential for strong teeth and bones. One serving contains 82 milligrams, which provides 8.2 percent of the RDA. Blackstrap molasses is also rich in copper, manganese and magnesium, which are also important for strong bones. One serving provides 22 percent of the RDA of copper, 26 percent of the RDA of manganese and 23 percent of the RDA of magnesium. Each of these minerals plays other roles in the proper functioning of your body. For instance, copper helps you produce red blood cells, and magnesium helps you manufacture hormones. One serving of molasses also contains 586 milligrams of potassium, or more than 20 percent of the RDA. Although not as high in vitamins as it is in minerals, molasses does contain small amounts of some water-soluble B vitamins. One serving provides 6 percent of the RDA of pantothenic acid, as well as 21 percent of the RDA of vitamin B-6. Vitamin B-6 supports the immune and nervous systems and also helps you metabolize protein. 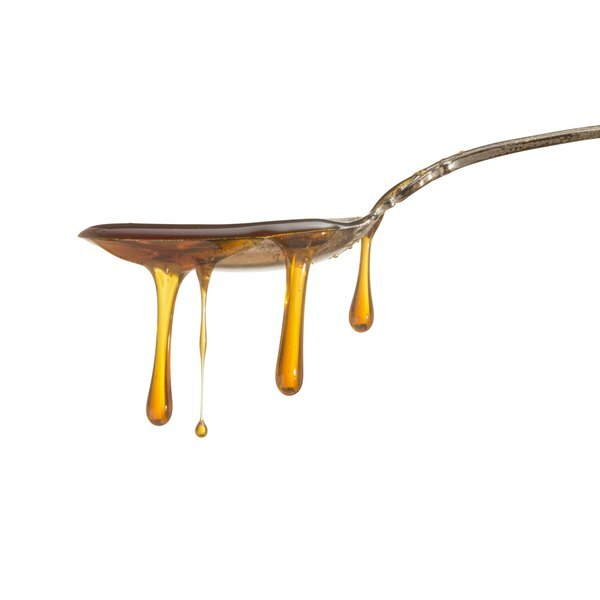 Blackstrap molasses contains no vitamin C, A, E, D or K.
What Are the Benefits of a No Carb Diet?